The newly-unveiled development plan 2034 for Greater Mumbai will be the blueprint for the city's land use over the next 16 years. Some of the major takeaways from the revised development plan are affordable housing, and infusion of new land that can be developed. Urban development secretary Nitin Kareer, Brihanmumbai Municipal Corporation (BMC) commissioner Ajoy Mehta and housing secretary Sanjay Kumar unveiled the plan at a press conference on Wednesday. According to The Times of India, they said the objective behind the development plan is to create eight million jobs and 10 lakh affordable homes under the Pradhan Mantri Awaas Yojana in the metropolis. In the new development plan, the FSI (floor space index) has been raised up to three for residential properties, while for commercial properties, it has been raised up to 5 from earlier 1.33. FSI, also known as the floor area ratio, is the ratio of the total built-up area to the total area of a plot. Basically, it is a tool that defines the extent of construction permissible on a plot. For suburbs, the new FSI will be up to 2.5 and 5 for residential and commercial properties, respectively. The existing FSI for the two categories is 2 and 2.5, respectively. The new plan also stresses on the concept of walking to work and the maintenance of open spaces. At the press conference, Kareer claimed that the additional FSI for the redevelopment of housing societies (15 percent at no extra cost) will translate into “one extra room for each flat owner”, The Times of Indiareported. The new plan also attempts to regularise space alterations, and offers additional FSI against payment of a premium amount, according to another report by The Times of India. Earlier, the compulsory open space area was not considered for FSI. The FSI regime is chained to road width of a minimum nine metres, going up to 24 metres and beyond for commercial and other development. "Mumbai has been divided into five zones, where the permissible bulk FSI will be allowed to be parked depending on the area’s proximity to the mass transit station," The Hindu quoted Kareer as saying. The new development plan is based on the projection that Mumbai's population will come down by 2034, according to BMC. The plan will unlock over 3,650 hectares under No Development Zone (NDZ) category and salt pan land for development. While the move is positive for development, experts have raised concerns that it is likely to put pressure on the existing infrastructure. Over 3,000 hectares of land would be available for building affordable houses after unlocking the NDZ land. Apart from this land, an additional 300 hectares of salt pan land will also be available for affordable housing. The government plans to build about 10 lakh affordable houses on these lands by 2034. The Aarey Milk Colony will also be opened to allow construction of metro car shed and a zoo. However, according to Mumbai Mirror, the development plan has committed to long-term conservation of the rest of the colony’s forest/open land. The plan has also marked Priyadarshini Park in Malabar Hill, which was earlier expected to come up with a fire station, as an open space. According to Census 2011, Mumbai's population stands at 1.24 crore. Availability of new land significantly affects the city with a population density of 29,650 per square kilometre. Issues like creating more old age homes are also addressed in the new development plan. According to BMC, a big impetus is given for promotion of art and culture in the city. 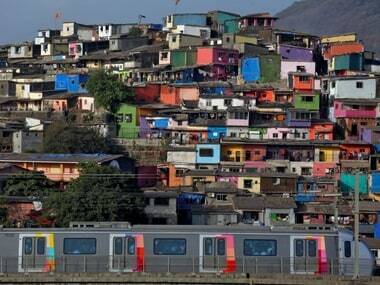 The Maharashtra government is all set to come up with a new provision for inclusion of transit-oriented development (TOD) model. This will enable more construction within the influence areas of mass transit corridors, reported The Print. The earlier draft of the TOD plan, which was rejected after much criticism, had proposed a variable FSI, ranging from 2.5 to 8, with a higher density around mass transit corridors. The draft development plan 2014-34 was earlier passed by the civic body on 1 August 2017. Corporators across political parties had then proposed around 267 amendments, mainly related to reservations for day care centres, children's park, another central park and a museum. Livemint reported that the new development plan classifies 12,859 hectares of land as “permanent no development zone”. No construction will be permitted on this land, making this the first decision of its kind in the history of civic planning in Mumbai. In an interview to Mumbai Mirror, Mehta said that BMC will come up with policy guidelines to ensure a smooth transition (from 1991 to 2034 development plan). "Three months down the line, things will stabilise," he was quoted as saying. A notification on the development plan will be issued in the next few days. The new development will be implemented one month after the notification is published.